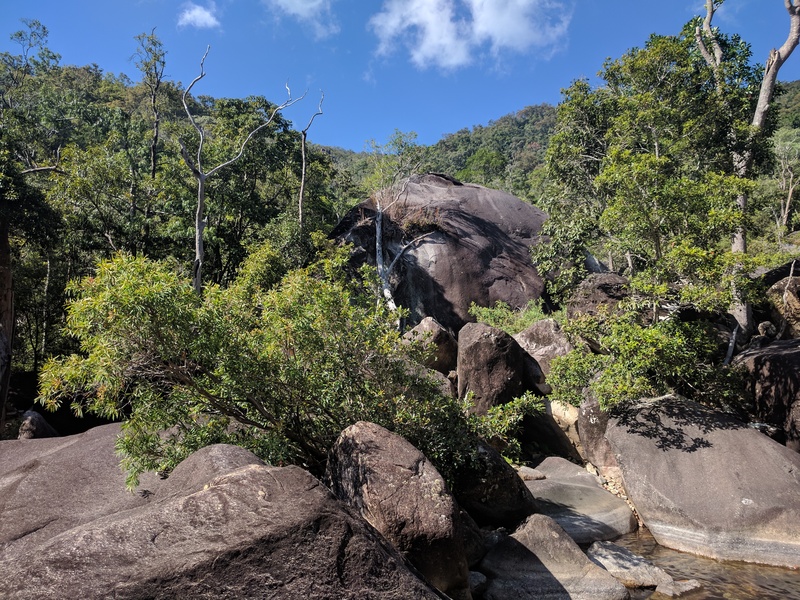 You may well have heard of Cloudy Creek, hell you may have even walk down to Cloudy Creek Falls before from Paluma village, but have walk up from Crystal Creek? 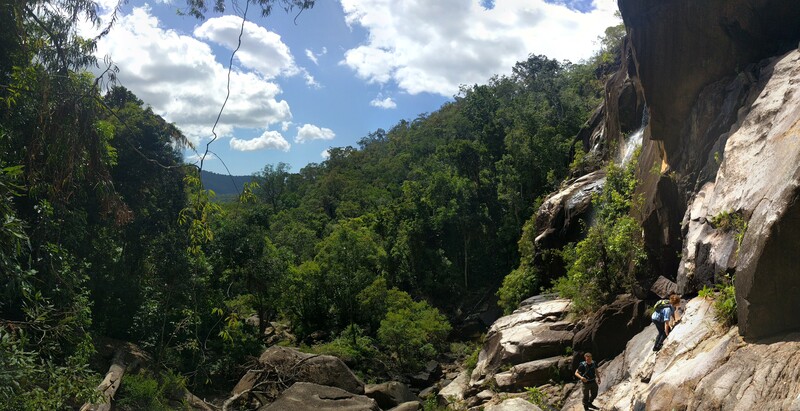 It's located in Paluma Range National Park, North Queensland, Australia. The other two fun routes up/down are Ethel Creek and Nolans Gully. 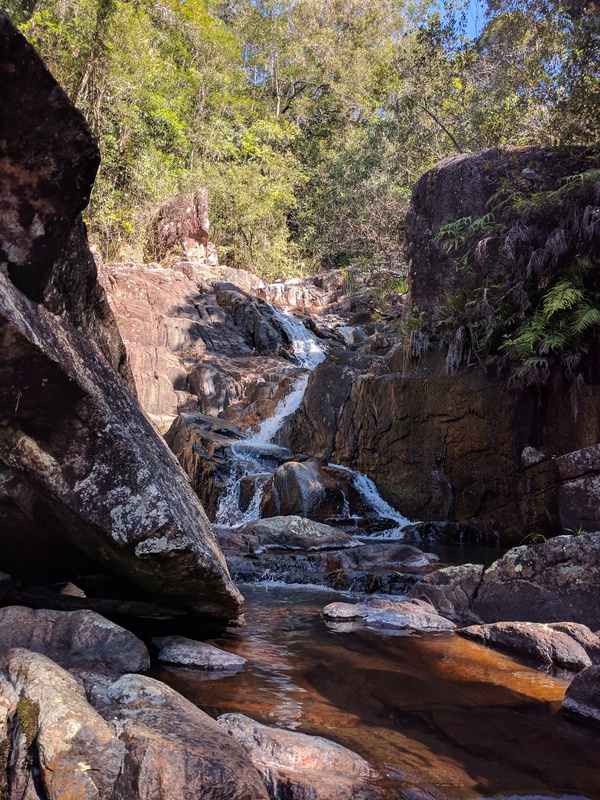 The creek and falls are a wonderful example of an idyllic rainforest stream ecosystem. Good swimming is available in ponds, except in the middle of the dry season. Cloudy Creek was originally given as on the headwaters of the Star, possibly in the vicinity of today's Bluegum Creek. Cloudy Creek today is a small creek on the other side of the divide that flows into Big Crystal Creek. This trip will take you half a day to a full day from the rockslides. Be sure to stop for a break every now and then and look back at Mt Leech. You will notice the scenery changes as you windy your way up the creek. Bullocky Toms Track winds its way up through that mountain range. 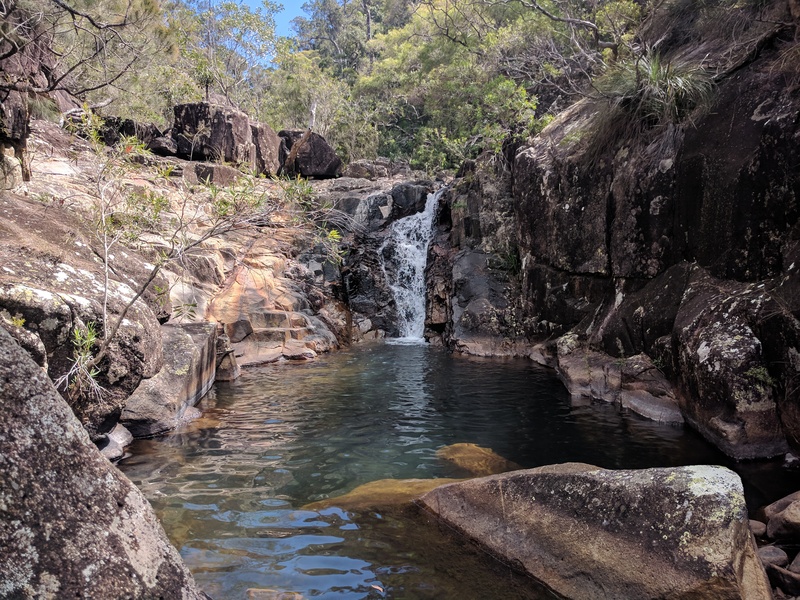 There are a few small but pretty waterfalls along with a couple of beautiful swimming holes to enjoy a fresh dip. The first half of the creek is exposed so you will be walking in the sun and it will be hot - use sun protection. Luckily, the second half of the creek continues into fern-filled valley shaded by the rainforest. 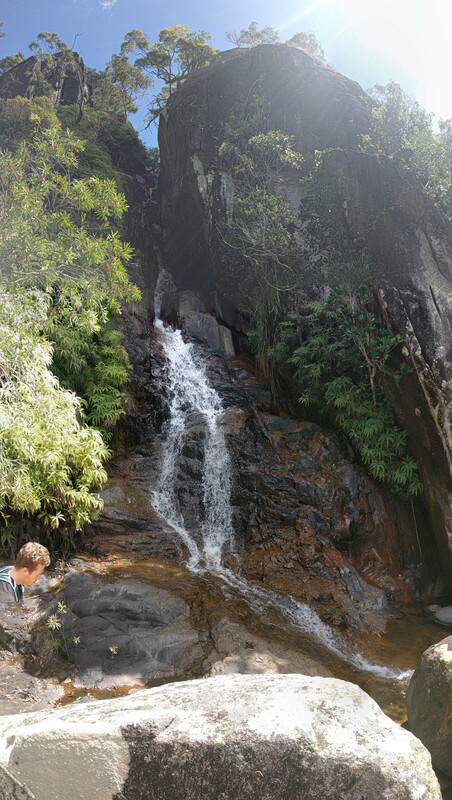 You will also have to navigate your way around a few of the bigger waterfalls - it would might for some good rock climbing though. Start at Mango Tree Car Park (the rock slides car park near Paradise Waterhole), and continue along the service road past the rock slides turn off. Turn left once you reach a causeway. This is Ethel Creek. Rock hole your way up this creek for a few hundred meters until you reach this big monolithic rock. Turn into Cloudy Creek and now you're set directions wise. You will climb a few hundred meters over the day. Once you reach what is known as Cloudy Creek Falls, turn left onto the National Parks track. Keep an eye out for this as you don't want to miss it! 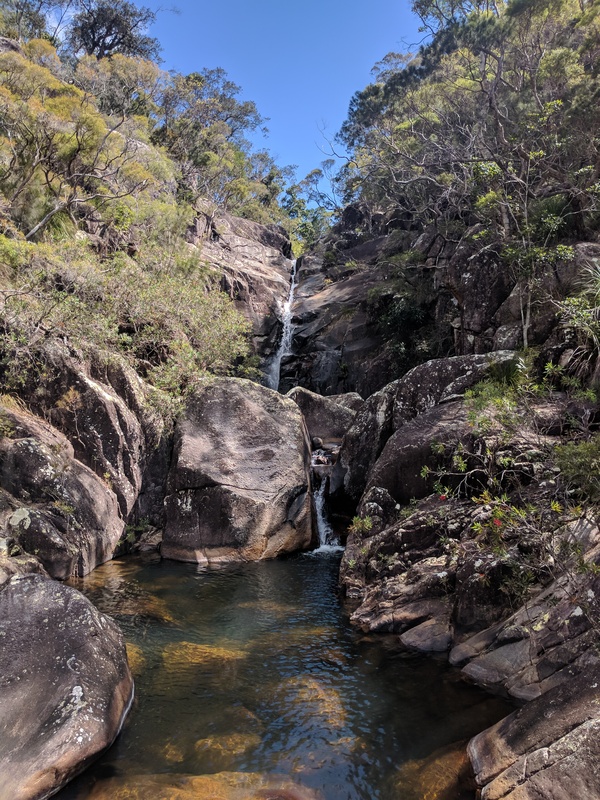 Follow the National Parks track back to the Paluma Township. This track passes along the escarpment thru an area of unlogged forest displaying some examples of majestic old growth trees. 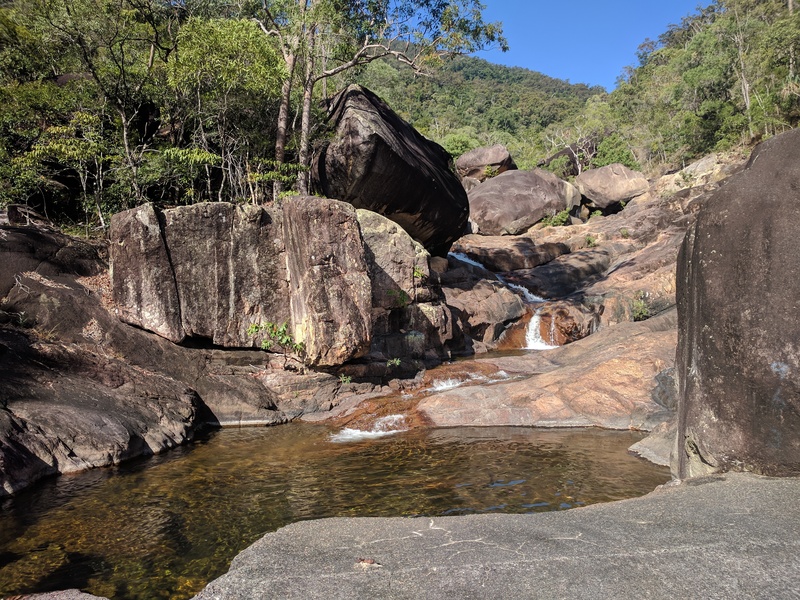 Since Paluma Township above, I highly recommend sterilising the water in the creek before consuming.